When I was hosting a tea party, I decided I needed a three-tier tray (think classic tea party style) that fit my budget (which was nothing). I scoured the stores and the internet but couldn’t find anything that matched my budget. What does a girl do? She DIYs her own! And adds a ton of glitter… because it’s glitter. 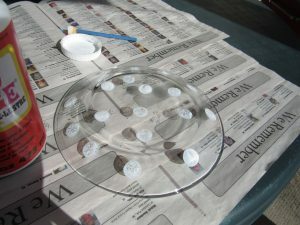 Here’s instructions on how to add the glitter and secure glass to glass! 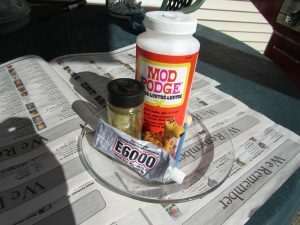 Be warned: this DIY can be very messy. 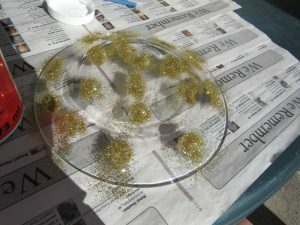 I may or may not have spilled a TON of glitter on the carpet, and opted to do this DIY on newspaper in the backyard. Also – my S.O. does not like glitter. He hates it. Step Seven: If you want to add a figurine, follow steps 1-6. 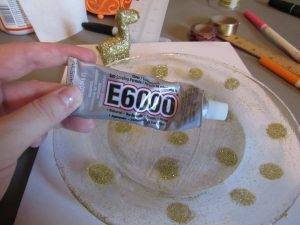 Step Eight: Use E6000 (MIRACLE GLUE). 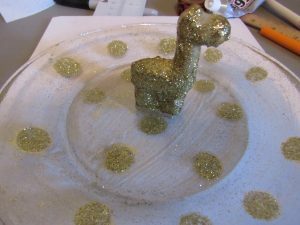 Add it on the plate and secure your figurine, candle stick… etc. 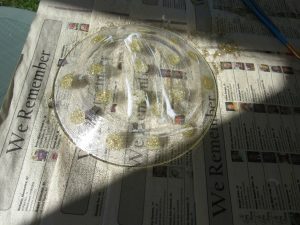 This turns into an inexpensive and awesome DIY. Next Next post: The. Best. Time. Of. Year.